Published: Oct. 3, 2012 at 06:06 p.m. Updated: Oct. 3, 2012 at 07:02 p.m. The St. Louis Rams (2-2) welcome the Arizona Cardinals (4-0) to the Edward Jones Dome for a pivotal NFC West battle (8:20 p.m. ET, NFL Network). The Cardinals are one of three unbeaten teams in the NFL, and they have created quite the buzz with a blitz-heavy defense that has suffocated some of the league's most explosive offenses. The Rams appear to be on the road to respectability under the direction of Jeff Fisher following a surprising win over the Seattle Seahawks in Week 4. 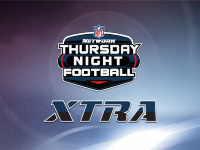 Led by Sam Bradford, Steven Jackson and an underrated defense, the Rams are riding a crest of momentum that should make for an intriguing battle in front of a national stage on NFL Network's Thursday Night Football. Will Sam Bradford wilt under the Cardinals' blitz-heavy tactics? The Cardinals have emerged as one of the NFL's top defenses by repeatedly overwhelming opponents with a variety of blitz looks. The barrage of pressure prevents quarterbacks from getting comfortable in the pocket and disrupts the timing of the passing game. More importantly, the frenetic nature of the Cardinals' blitz tactics robs quarterbacks of their aggressiveness, leading to fewer deep shots down the field. For the Rams to be productive, Bradford must recognize and anticipate the blitz prior to the snap. He must check out of poor calls against five- and six-man pressures to keep the offense from suffering from negative plays and long-yardage situations. Bradford also needs to be quick and decisive with the ball while facing the onslaught. By getting rid of the ball quickly before the rush arrives, he can discourage Cardinals defensive coordinator Ray Horton from dialing up pressure and force the Cardinals to adopt a coverage-only approach for the majority of the game. Can Ryan Williams add balance to the Cardinals' offense? A combination of strong defense and timely play-making in the passing game has been the catalyst for Arizona's strong start, but the one-dimensional offensive approach eventually will lead to more negative plays and turnovers when teams start ratcheting up the pressure. That was evident when the Cardinals turned the ball over two times against the Miami Dolphins and needed a furious fourth-quarter rally to collect their fourth win. That's why Ken Whisenhunt will certainly give Williams a number of carries on the edges to prevent Robert Quinn and Chris Long from relentlessly pursuing Kolb in the pocket. If the Cardinals can slow down the Rams' rush with the threat of the run, Kolb should be able to connect on a few deep-ball opportunities to Larry Fitzgerald, Andre Roberts and Michael Floyd off play action. Is Danny Amendola a No. 1 receiver? The Rams' much-maligned receiving corps has been blamed for Bradford's inconsistencies, but the re-emergence of Amendola as the unit's top playmaker has helped the young quarterback discover his rhythm in the pocket. Amendola has snagged 31 balls in four games, including a 15-catch, 160-yard outing against the Washington Redskins that cemented his status as the Rams' top weapon in the passing game. However, he faces a tough challenge with the Cardinals poised to rotate Patrick Peterson, William Gay or Greg Toler on him, depending on where he aligns in the formation. With each of those players possessing the speed, athleticism and length to play bump-and-run in the slot, Amendola will need to be on his game to break free from the suffocating coverage at the line of scrimmage. While he has shown flashes of being effective against physical defenders, the constant harassment and tenacity of the Cardinals' cornerbacks will test Amendola's mental and physical toughness. Can the Rams bait Kevin Kolb into a big mistake? Kolb has guided the Cardinals to a surprising 4-0 record by avoiding big mistakes and risky maneuvers that could result in turnovers. Part of his success certainly can be attributed to his growing chemistry with the skill players, but Kolb has done a terrific job of throwing the ball away or in the stands when the pocket collapses. While this approach definitely is not a novel concept, the fact that Kolb has improved dramatically since 2011 suggests that Whisenhunt has been harping on ball security throughout the offseason. Against the Rams, Kolb's conservative approach will be tested by a young, athletic secondary with exceptional ball skills. Janoris Jenkins, Trumaine Johnson and Cortland Finnegan have quickly developed into one of the NFL's top secondaries, and their collective aggressiveness and instincts have helped the Rams rack up eight picks in four games. While most of those interceptions have been the result of tips or overthrows, the constant movement in the back end has also prompted opposing quarterbacks to attempt to fit balls into tight windows. If Kolb isn't careful about his pre-snap reads or decisions in the pocket, he could have a long day against a defense that wreaks havoc on opponents through confusion. The Rams are tough at home, but the Cardinals bring a rough and rugged defense that has diffused some of the NFL's most explosive offenses. With the Rams lacking the firepower of the New England Patriots or the Philadelphia Eagles, I believe it is going to be hard for Bradford to muster up enough production to score points consistently throughout the game. That's why I'm going with the Cardinals in a very competitive contest.